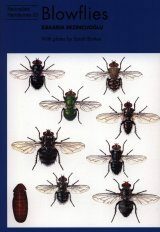 True flies, or Diptera, constitute one of the largest orders of insects in the biosphere, with over 160,000 described species worldwide, more than 20,000 of which occur in the Afrotropical Region. 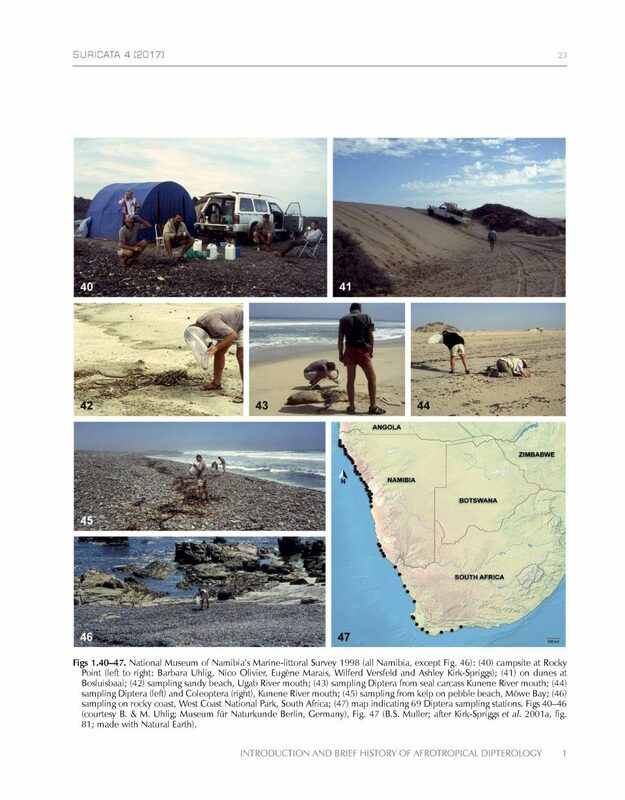 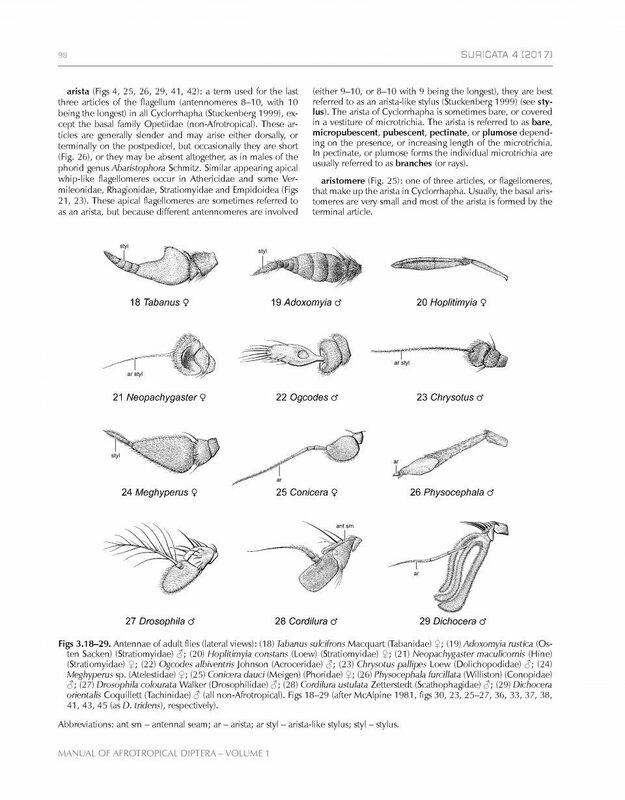 They are as diverse morphologically and biologically as they are numerous and many groups have evolved spectacular structural adaptations that are commensurate with their environment and biology. 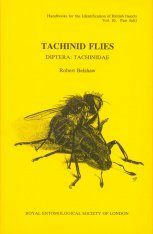 During their long evolutionary history, virtually every terrestrial niche has been occupied by the Diptera, making them one of the most successful groups of organisms on Earth. 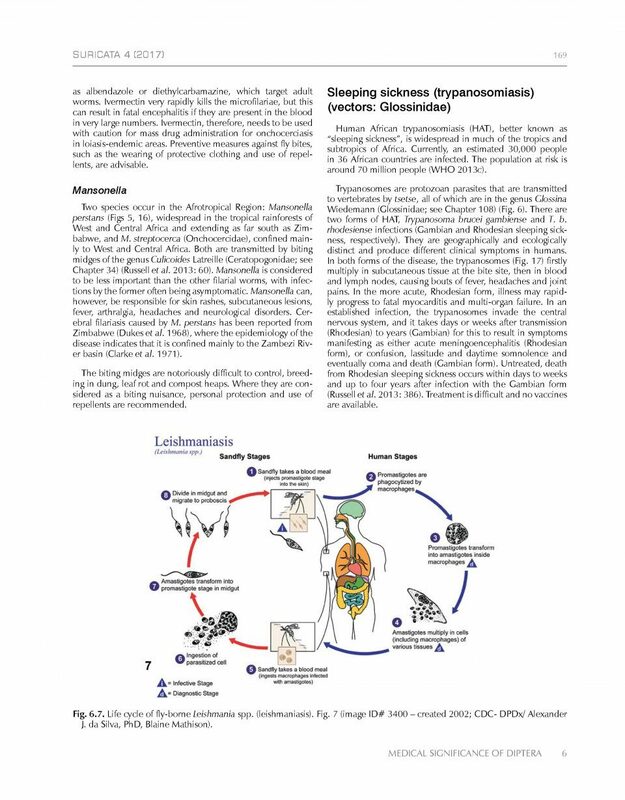 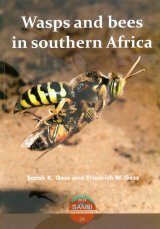 Many have co-evolved in association with other organisms and become highly specialised parasites or parasitoids of a range of disparate groups of plants and animals. 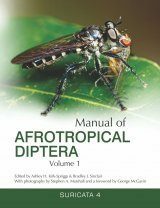 Whether focusing on their systematics, biology, biogeography, conservation, or the more applied aspects, the Diptera remain a fascinating and intriguing group. 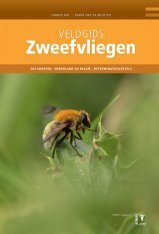 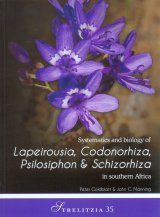 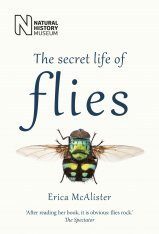 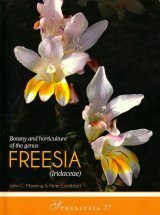 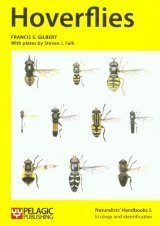 This four volume book, a collaboration of over 90 international experts on Diptera, is the first-ever synopsis of the 108 families of flies known from the Afrotropical Region and includes discussions on biology and immature stages, economic importance, classification, identification to the genus level, as well as a synopsis of each genus. 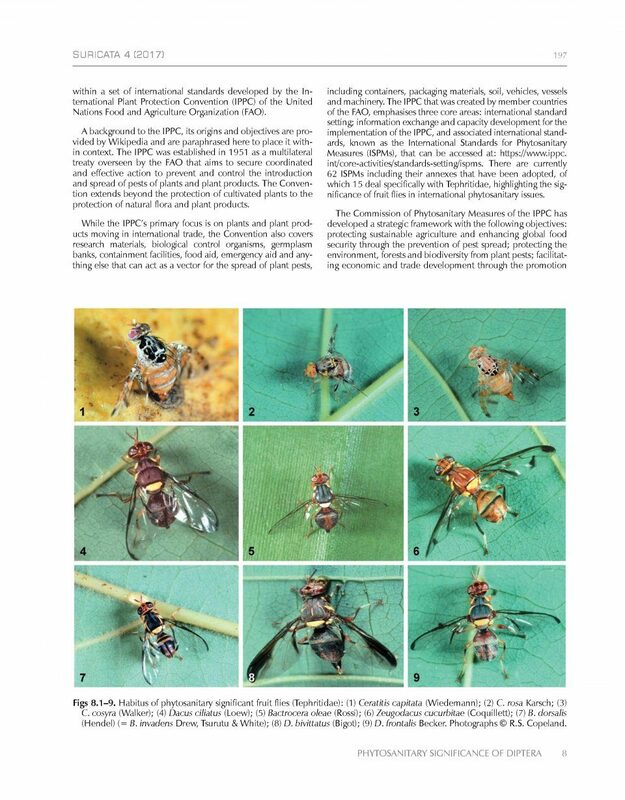 This work provides the basics for understanding the diversity of a major order of insects in a large tropical and sub-tropical region and is the first such synopsis of its kind for any major insect order occurring in the Afrotropics. 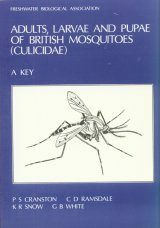 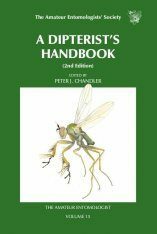 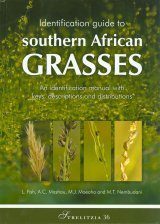 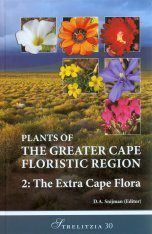 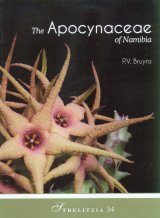 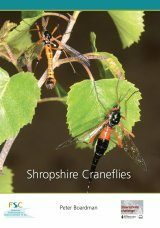 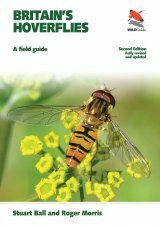 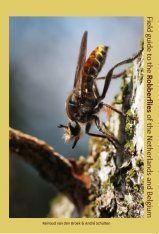 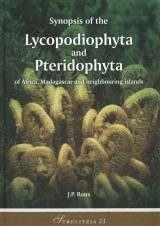 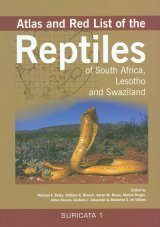 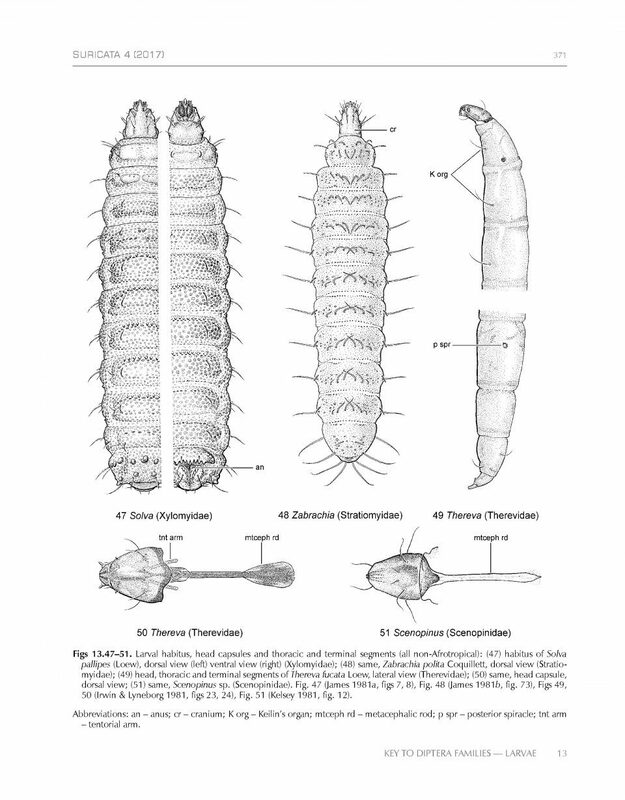 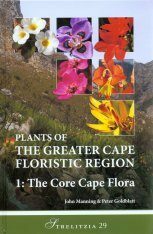 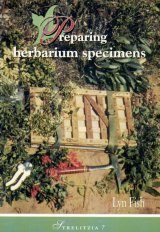 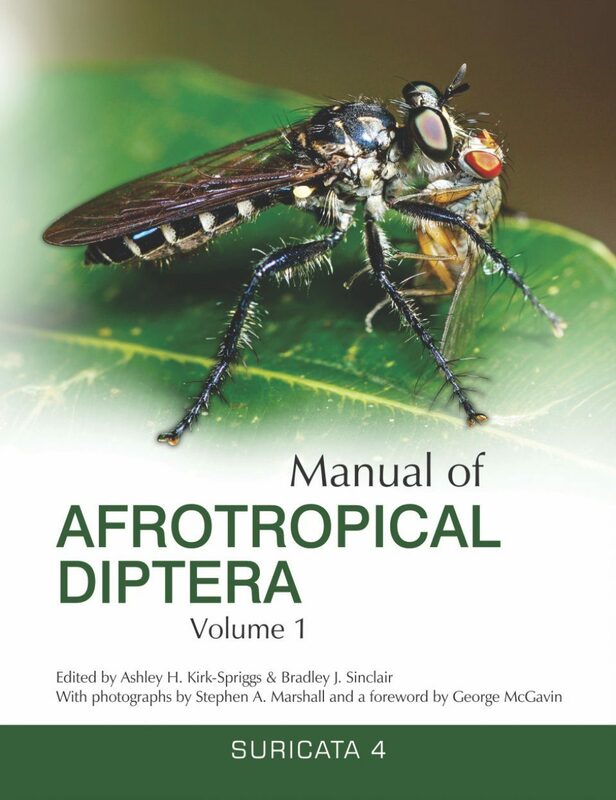 Volume 1 includes 11 general introductory chapters dealing with the history of Afrotropical dipterology, collection and preservation, morphology and terminology, natural history, agricultural and veterinary, medical, forensic and phytosanitary significance, biogeography, conservation and the phylogeny of flies. 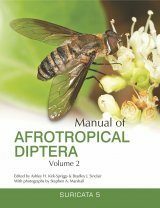 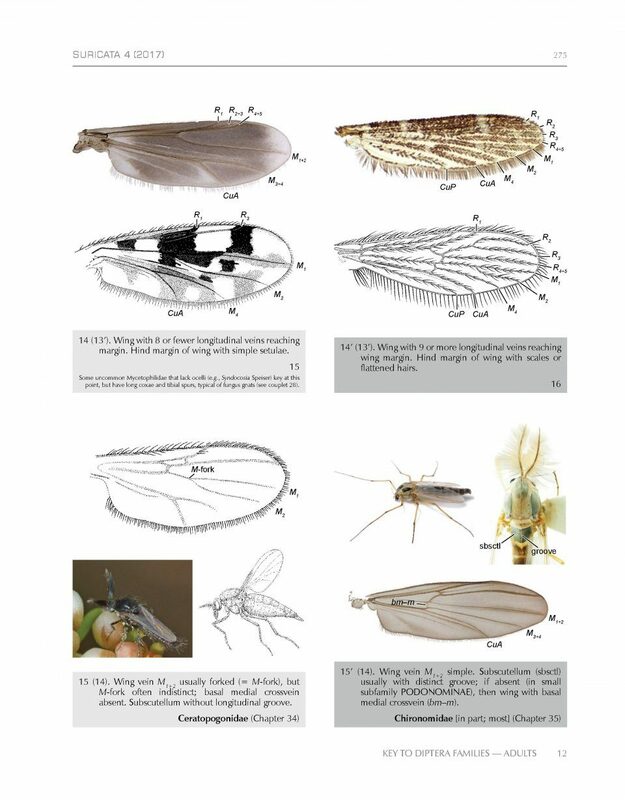 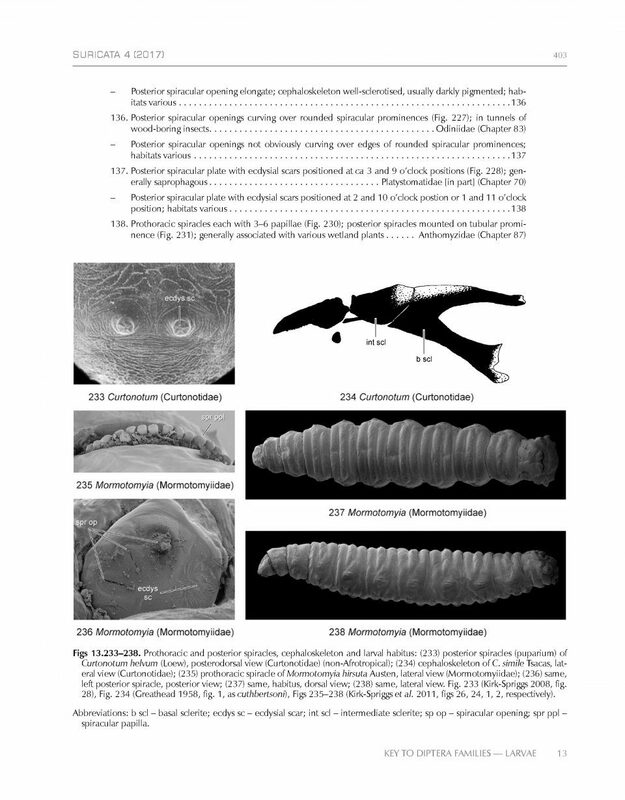 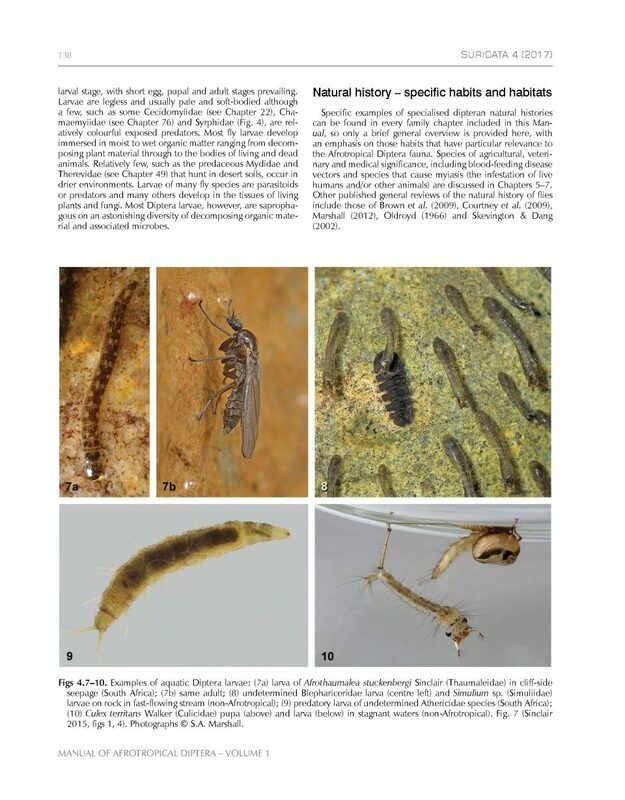 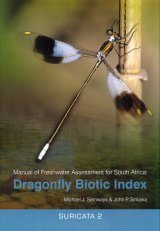 The volume also includes identification keys to all Afrotropical fly families for both adult and larval stages. 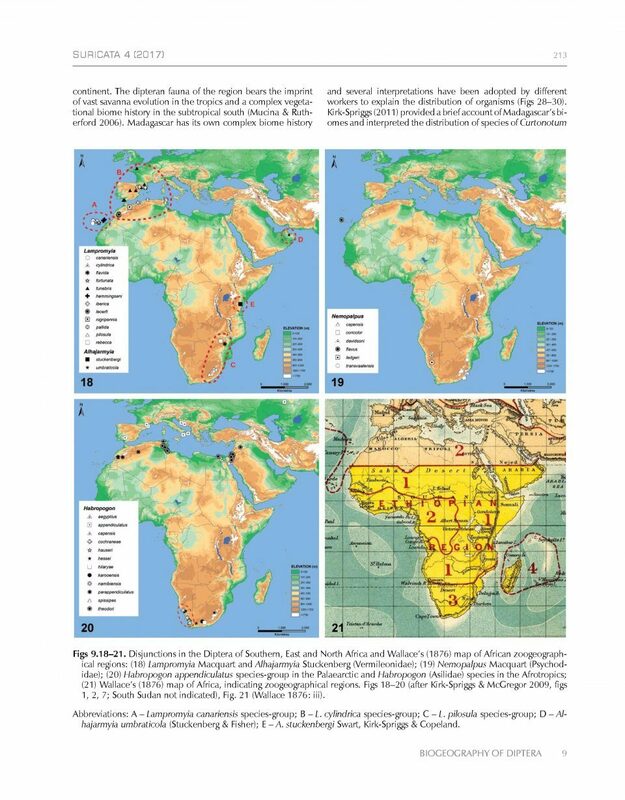 The coverage can be summarized as follows: continental Africa south of the Sahara, with the northern boundaries of the modern states of Mauritania, Mali, Niger, Chad and Sudan forming the boundary between the Palaearctic and Afrotropical realms. 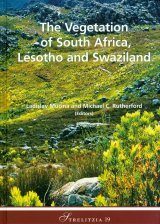 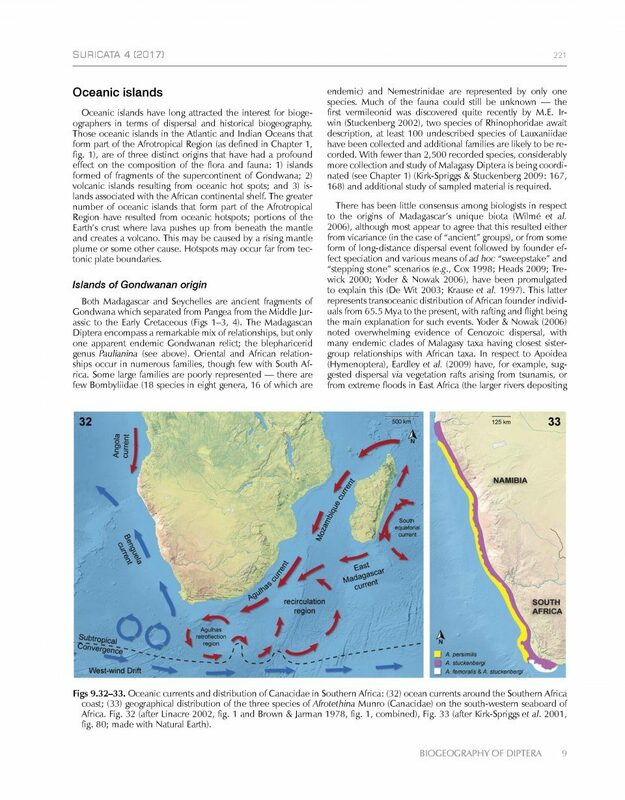 The South Atlantic islands of Ascension, St Helena, Tristan da Cunha and Gough, plus the Cape Verde Islands, the Gulf of Guinea, Madagascar and the western Indian Ocean islands are also included in the scope of the Manual.